Claudine enjoys a night out with Robbie, who took the picture, and Scottish heartthrob Gerard Butler. 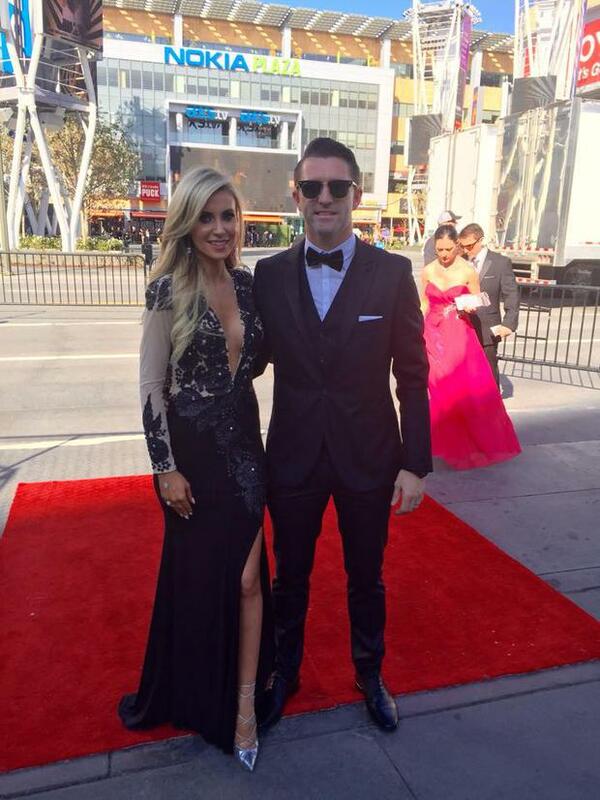 Claudine and Robbie Keane are enjoying the perks of celebrity as they hit the Grammys last night. The soccer star and his model wife walked the red carpet with music's biggest stars, including Rihanna, Beyonce and Katy Perry, as they took to the Staples Center for the super exclusive event. 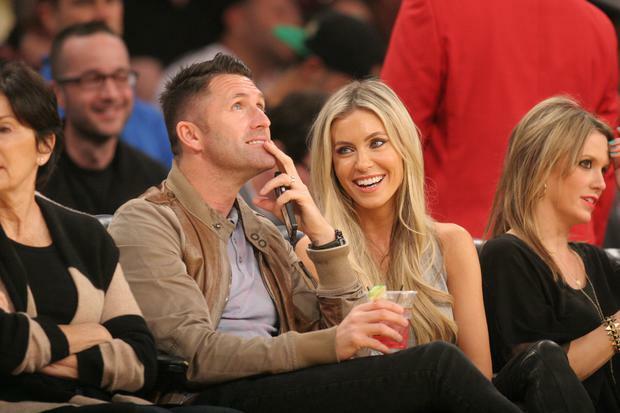 And they partied the night away after the ceremony wrapped at a bash thrown by AEG, which owns both the Staples Center and Robbie's team LA Galaxy. The couple, who have been married for more than six years years and living in California for the last three, brought their fashion A-game with Claudine wearing a black gown with floral appliqué and a plunging neckline and Robbie was suitably dapper in a classic black tuxedo. The pair kept their social media activity to a minimum, choosing only to share pictures of them before the ceremony, with Claudine tweeting: "Hello Grammys!!! What a day., cx." The Irish captain posted snaps of him and his wife and their VIP passes to his Facebook account, writing: "Looking forward to hearing some great music tonight at the Grammys." Although they are clearly settled in sunny California, Ireland will always be home. "We bought a house in Ireland about a year ago and I think Ireland will always be our base but I don't know if in the foreseeable future we could be living here," Claudine said last month. "But we always come home and spend a few months here... it's the one place that's consistent in our lives," she added.